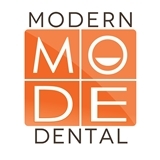 Modern Dental (Atlanta) - Book Appointment Online! Quality Care. First Class Results. Modern Dental is a dental facility designed with patients in mind. Our doctors and staff are highly skilled in a wide variety of common dental treatments including Adult Dentistry, Child Dentistry, Cosmetic Dentistry, Invisalign, and much more!. Feel free to look through our website to learn more about any services you’re interested in. We look forward to treating you! Everything about this practice was great. The staff was very professional and the Dr was very comforting and knowledgeable.